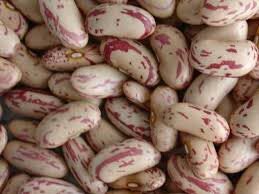 We are instrumental in offering premium Light Speckled Kidney Beans. Procured from the reliable producers, the Light Speckled Kidney Beans are properly washed, cleaned and processed under the controlled conditions. These beans are kidney-shaped with speckled color texture. Light Speckled Kidney Beans are a great source of cholesterol-lowering fiber ensuring optimum health benefits. They are hygienically packed in optimum quality packaging material to ensure long shelf life and maximum protection from biological contaminants. Moreover, the Light Speckled Kidney Beans are reasonably priced.